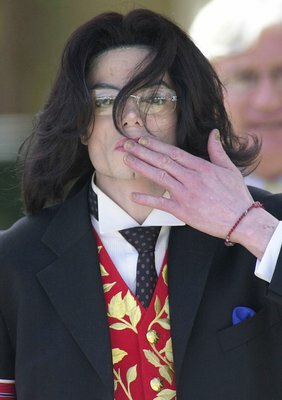 This week began hearings on the death of Michael Jackson. Personal doctor of pop icons, Conrad Murray, is accused of involuntary manslaughter artist two years ago. Protecting Murray argues that the singer himself swallowed potent drugs behind your doctor, because Murray refused to increase the dose of sedation. According to one of the lawyers for Murray, Ed Chernoff, Jackson was suffering from severe insomnia, and after refusing to doctor secretly took eight tablets of lorazepam dvuhmilligrammovyh and unspecified quantity of propofol - a powerful drugs used, including, for maintenance of anesthesia. A few hours later, Jackson was found dead, reports The Sun. Chernoff said that lorazepam alone, adopted a singer that night, would be enough to permanently put to sleep six people. "He made that led to his death - said the lawyer. - When Dr. Murray left the room, introduced himself, Michael Jackson, a dose of propofol, in combination with lorazepam led to the attack, who killed him instantly, according to E-online. When Dr. Murray entered the room and found Michael Jackson, that is no longer needed or cardio-pulmonary resuscitation, neither the doctor nor the special equipment, which would return him to life. He died so quickly that she did not have time to close your eyes. " The actions of his client Chernoff did not consider malicious intent: "That dosage of drugs prescribed by Dr. Murray, could lead to death. Michael Jackson he drank eight tablets of lorazepam and injected himself with propofol. It killed him and save him was no way. Dr. Murray - not a perfect person, but in this criminal case, we believe that he is innocent. " Murray himself at the meeting in tears talking about his relationship with the King of Pop. The doctor insisted that he was trying to wean Jackson of propofol, which is usually only used in hospitals for operations. But the singer's hit Thriller was suffering from "absolute, complete, and it is impossible to sleep." The problems Jackson deepened his addiction to dangerous analgesic Demerol. In fact, the singer hooked on this drug, Murray blames star dermatologist, Arnold Klein. Media waited for the meeting will turn into a circus, but the hearing went quite good. Nevertheless, something has hooked reporters, and they even made a list of the five biggest surprises of the meeting. 1. Deputy District Attorney David Uolgren began his presentation by showing pictures of the body bloated deceased star. It really was a shock to the audience. If the prosecution sought to upset the family of Jackson - and all those who suffered for them - then it certainly achieved its goal. 2. Uolgren gave the audience listen to a recording made by the built-in voice recorder iPhone, on which Michael Jackson, who is obviously under the influence of some substances, shares his plans about the concert series This Is It: "We have to be phenomenal, - says the singer slowly, swallowing the end. - I want people going out after my show, said: "I had never seen anything like it! Come on! I've never seen anything like! Class, it's amazing! He is the greatest artist in the world! " spend the money on the millions of children, will open a children's hospital - the largest children's hospital in the world named Michael Jackson! " 3. Conrad Murray did not hide his emotions. The cardiologist was crying silently, constantly wiping his eyes. However, a friend of the Jackson family, Las Vegas magician Majestic Magnificent, said: "It tears or anything. As compared with tears Katherine Jackson (mother of the singer) ... Not a drop of sympathy. I do not believe him." 4. La Toya Jackson has not failed to make an entry into Twitter directly from the courtroom: "It's disgusting - to see what they did to my brother! The sight of his lifeless body lying on a gurney, just heartbreaking". Latest Tweet read: "What an interesting day". Journalists noted that the meeting could be taken to the hall their cell phones, however, by comparing the time of appearance of tweets and routine work of the court, the reporters came to the conclusion that La Toya wrote during lunch and other breaks. 5. Obvious star of the hearing was already mentioned by Deputy District Attorney David Uolgren. Noise on the handsome deputy-up grave, so that the media were quick to advise anyone who discusses Uolgrena person to pay attention to his clothes, hairstyle and mannerisms - it would be more useful.